*This post contains affiliate links for products that I recommend. 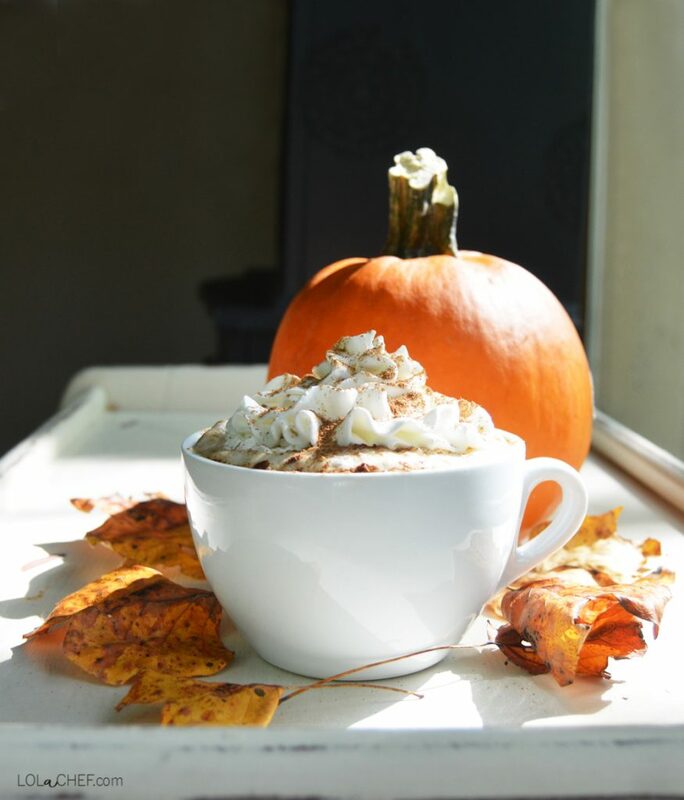 Nothing says fall like a warm pumpkin spice latte….well other than cool weather and beautiful foliage of course. 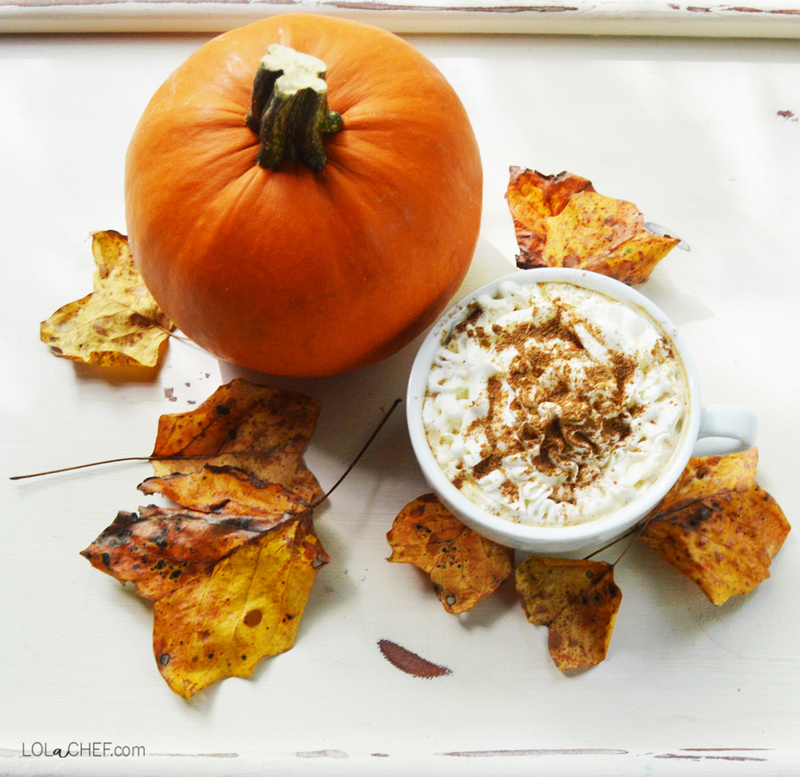 I often go to coffee shops this time of year and look for pumpkin latte or any kind of hot pumpkin drink. Most of the time I pay way too much for something that didn’t come out that good. Either too milky, too sweet, or not very good at all. So, I decided to save money and try to make one at home. I tried to make a healthy version of a pumpkin spice latte using honey and almond milk which makes it gluten and lactose free. It was a little bitter so I added some brown sugar and it was perfect, like fall in a cup. This latte recipe isn’t too difficult, just need to brew some coffee and warm up some almond milk with some ingredients. I’m not a professional barista but this is how I made mine. This will make 2 large mug size lattes. I like using strong coffee for this recipe, I brewed my coffee with a french press. Once I tried a french press, liked it so much I stuck with it and threw out my coffee maker…and never went back. When using a french press you will need to use large course ground coffee. I find the best way to get great flavor is to buy whole beans and grind them fresh. I usually grind my coffee beans every week for the most amazing flavor! Brew regular coffee or espresso. In a small saucepan add milk, pumpkin, honey, brown sugar, and spices. Whisk and turn heat to medium high. Bring to a slight boil, then reduce heat to low and simmer for about 5 minutes. Pour coffee 2/3 cup full in each cup, less if using expresso. Once milk mixture is ready pour into each glass to top and stir. Top with whipped topping and additional spices to liking. You can adjust the sugar level to your liking using more or less. If you like your latte more milky, simply fill your cup with less coffee and more of the milk mixture. Honestly, if you don’t have pumpkin on hand you can heat the milk with extra spices, honey and sugar and it will taste good too. If you can’t find pumpkin pie spice you can mix equal amounts of cinnamon, ginger, and all spice. Some mixtures have cloves the one I used did not. That’s it! 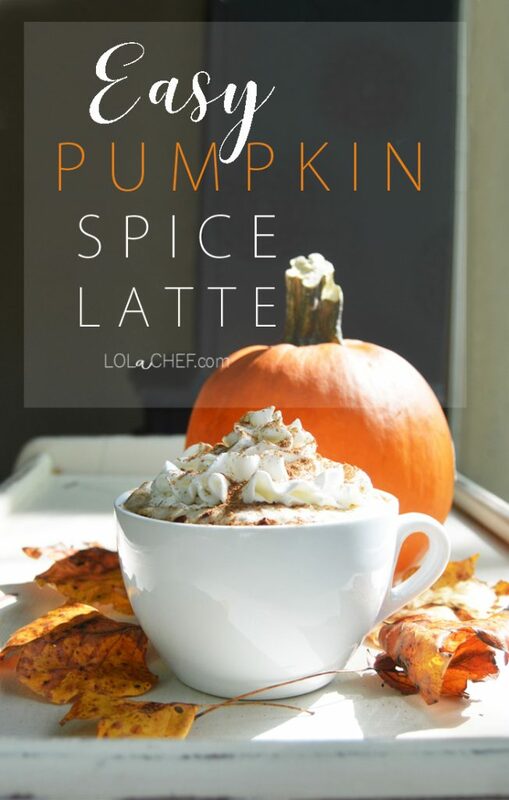 That’s my pumpkin latte recipe that I will be enjoying everyday…..probably until Christmas. Need more pumpkin?!? Check out my Pumpkin Pancake Recipe!